Multiservice Platforms help Service Providers to maintain their legacy services and organize their convergence to the IP and MPLS core network. CXR solutions provide a broad connectivity over fiber and copper links. 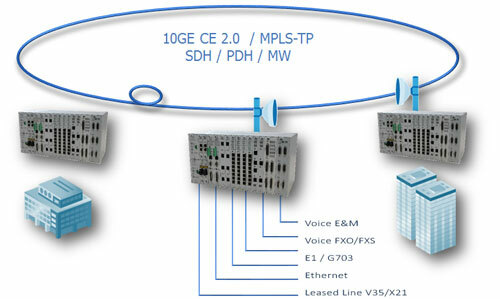 They enable SDH / PDH services with any type of user interface, and their connection to an MPLS-TP or CE 2.0 Carrier Ethernet network.